The Rolling Stones have posted a video on social media teasing what appears to be an upcoming tour announcement. The clip shows the sun – complete with the band’s logo – rising on the New York skyline and the Statue Of Liberty. 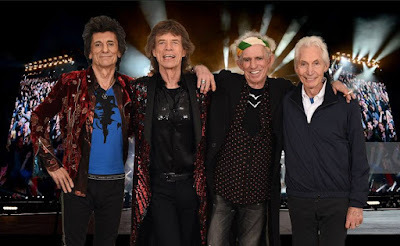 The imagery has Stones fans speculating about possible news regarding a 2019 North American tour as they await word of an official statement from the group. There are also media reports that the group’s logo has been spotted recently at some US venues, including New Jersey’s MetLife Stadium, Denver’s Mile High Stadium and Massachusetts’ Gillette Stadium, among others. The Rolling Stones last performed in North America in the fall of 2016, when they appeared at both weekends of the Desert Trip festival and an arena show in Las Vegas, NV. The band’s last full tour of the continent took place in 2015 on the Zip Code trek, when they played 17 stadium shows that earned box office revenue of almost $110 million dollars.